Check out our latest YouTube video on the important methods this planet uses to recycle water. 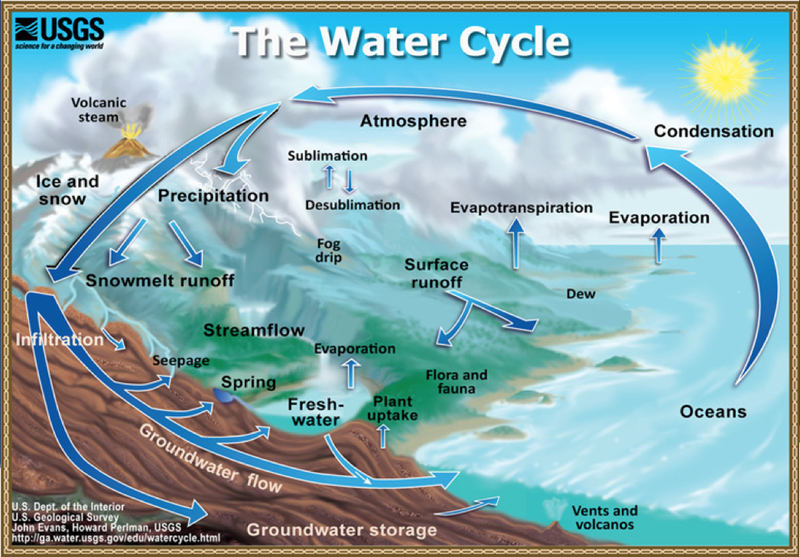 Included are definitions of precipitation, condensation, evaporation, and runoff. The video also discusses infiltration, groundwater, volcanoes, and more. 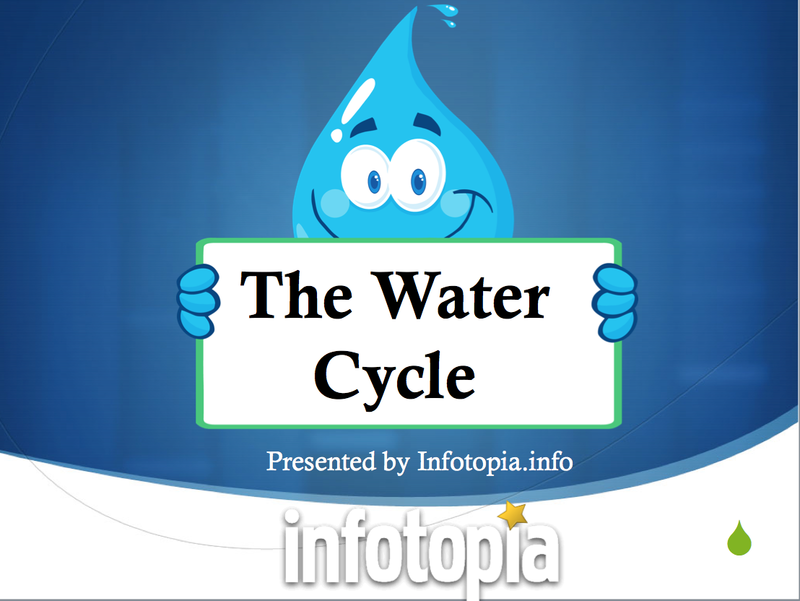 This brief video (without advertising) is perfect for students who want to learn about or review the steps of the water cycle. 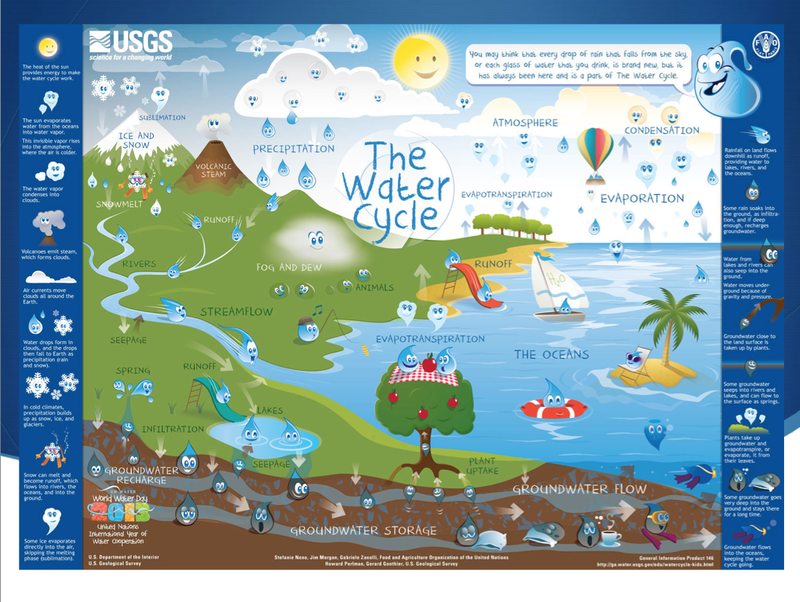 Also, the following public domain charts from the United States Geological Survey (USGS) are useful for learning all the ways that earth recycles water. Just click on the images to make them larger. Which one is your favorite?